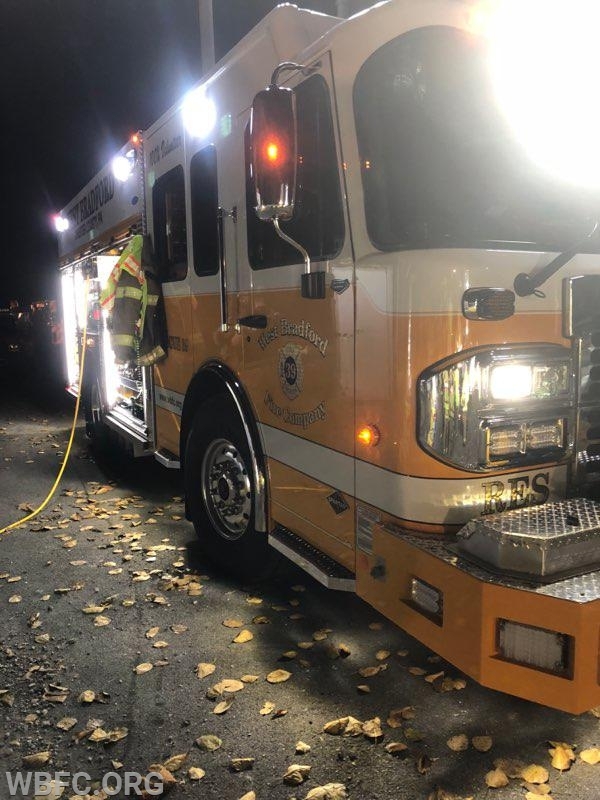 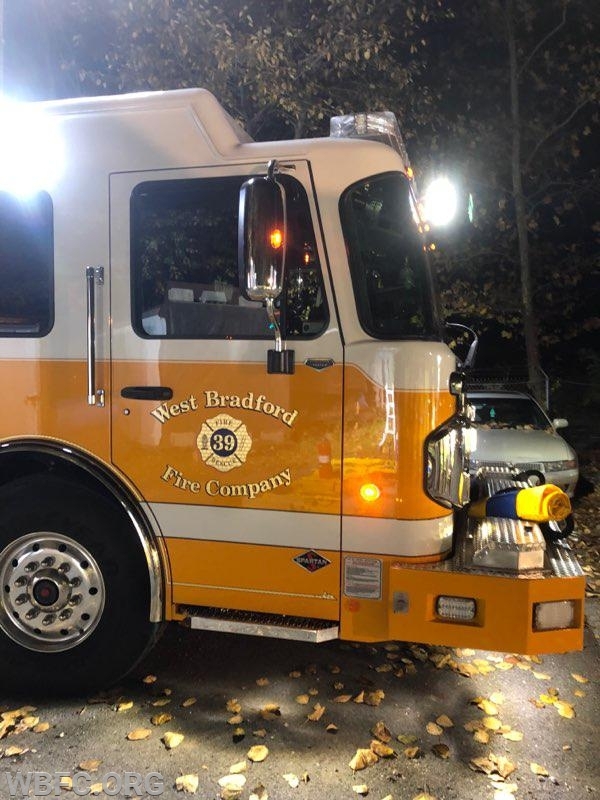 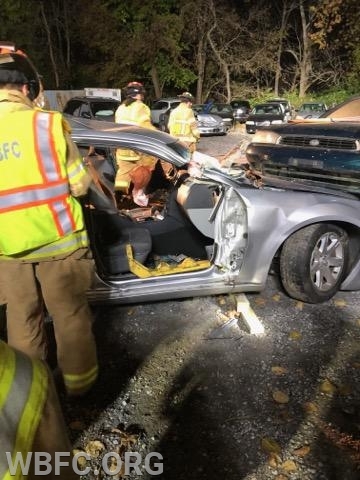 Thursday evening the crews traveled to Millers Auto in Downingtown to practice their skills with our new Rescue and the new Hurst eDRAULIC tools. 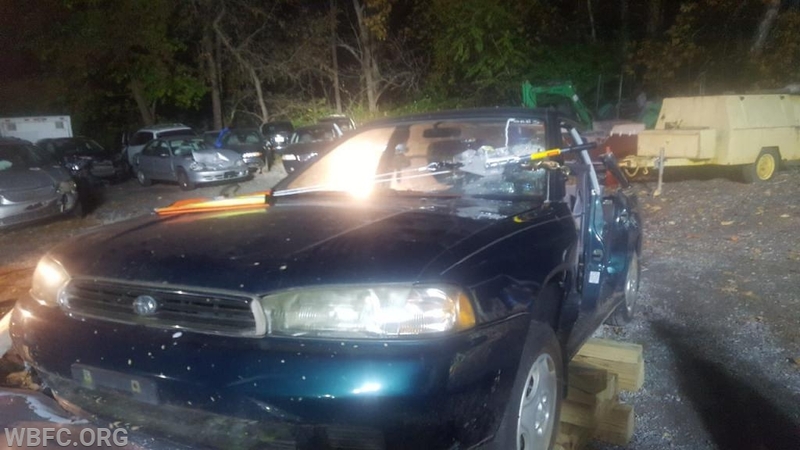 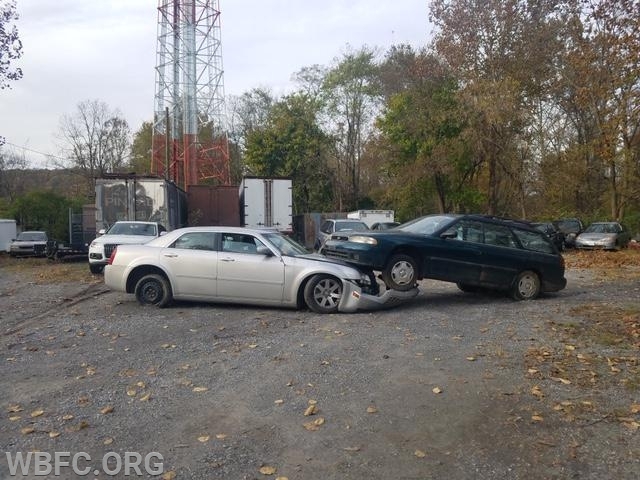 Miller's Auto allowed us to utilize their storage yard to practice extrication at a mock vehicle accident. 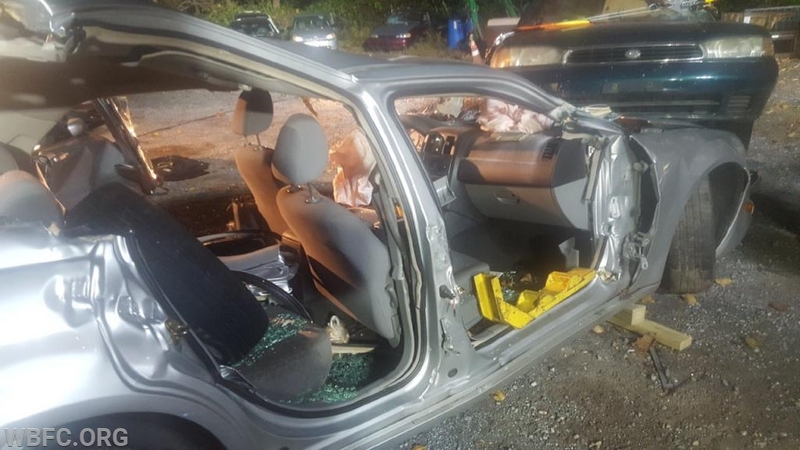 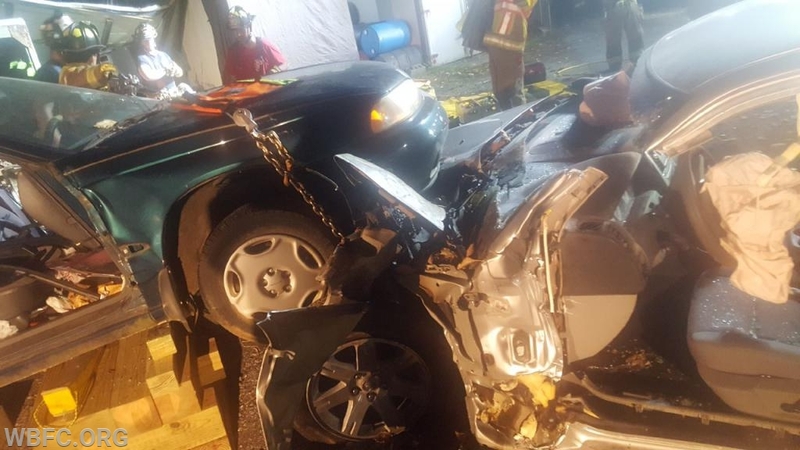 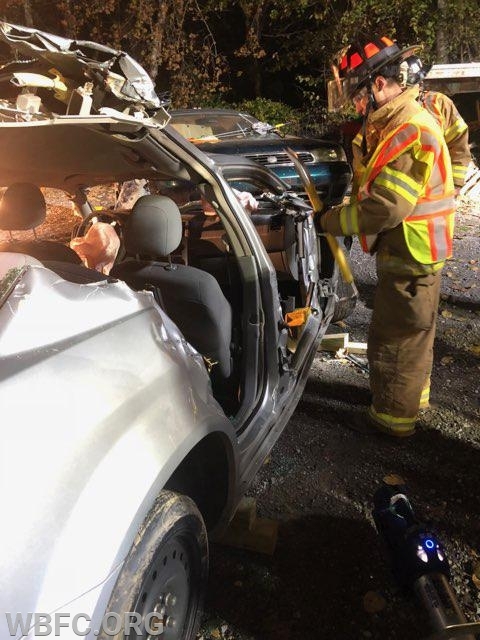 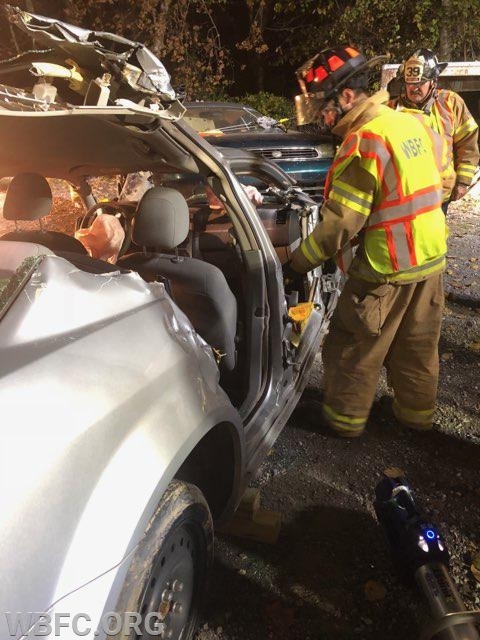 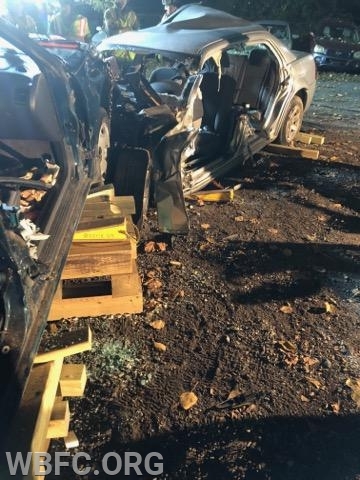 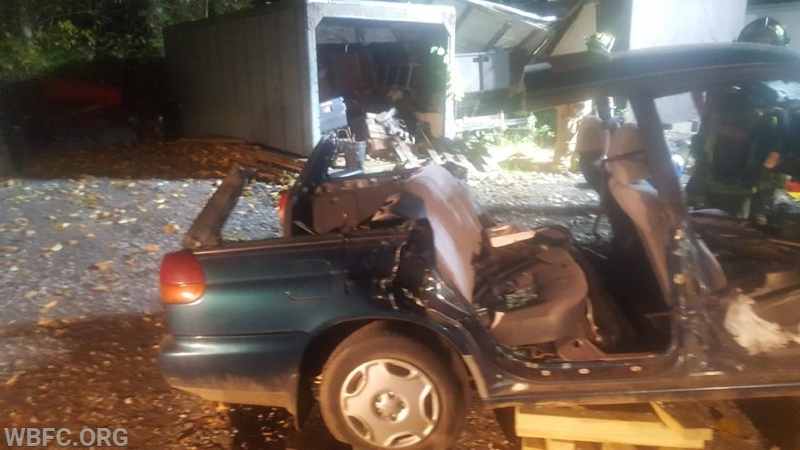 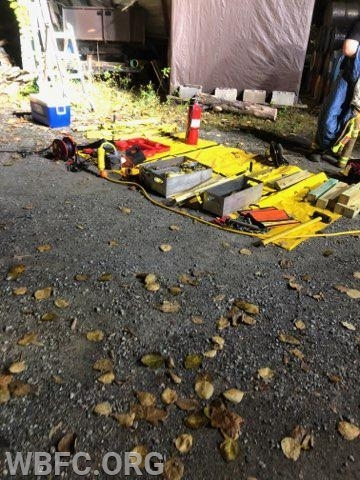 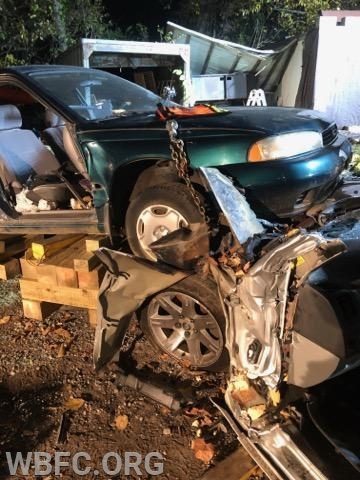 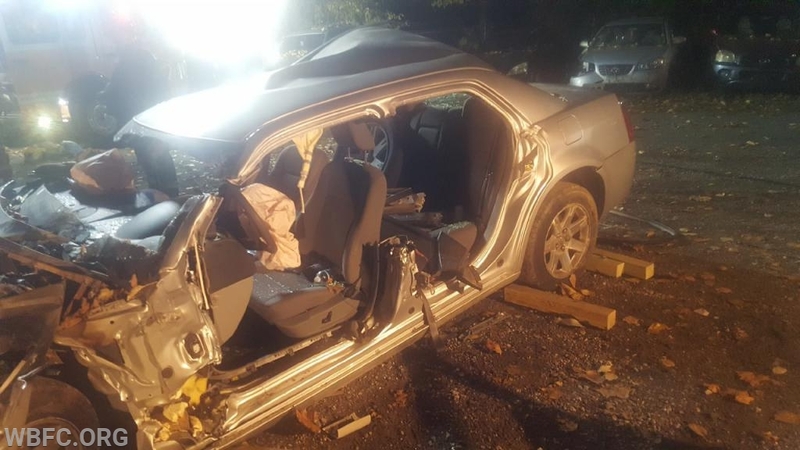 During the day they set up two vehicles to appear to have been involved in an accident, when the crews arrived they evaluated the situation and begin the extrication process of would be victims. 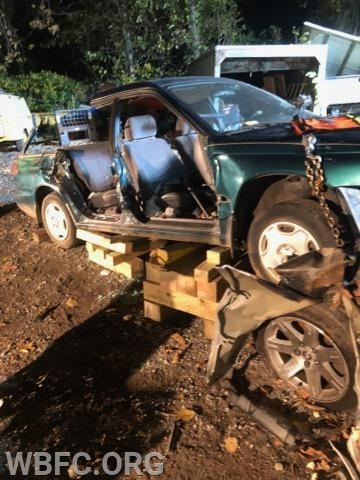 This was the first out of station training on our new Rescue and we would like to Thank Miller's Automotive for the opportunity to use their facility.